A Blue Moon pop up bar with FREE beer is coming to LondonPay for your drinks using a cucumber this Wednesday in LondonHave a Mad Hatter’s Afternoon Tea with this Wonderland-inspired treat! Moonpig has decided to combine Dads two favourite things, food and their children’s love, into one, with an edible ‘meating’ cards. Get it… Greetings… Meat… Anyway. These unique cards come in BBQ or Spicy Hot flavours, and are made out of rice paper. The BBQ cards are smoked with hickory chips to give ‘a full and authentic flavour’, while the spicy hot cards have cayenne pepper inside for ‘a fiery finish’. 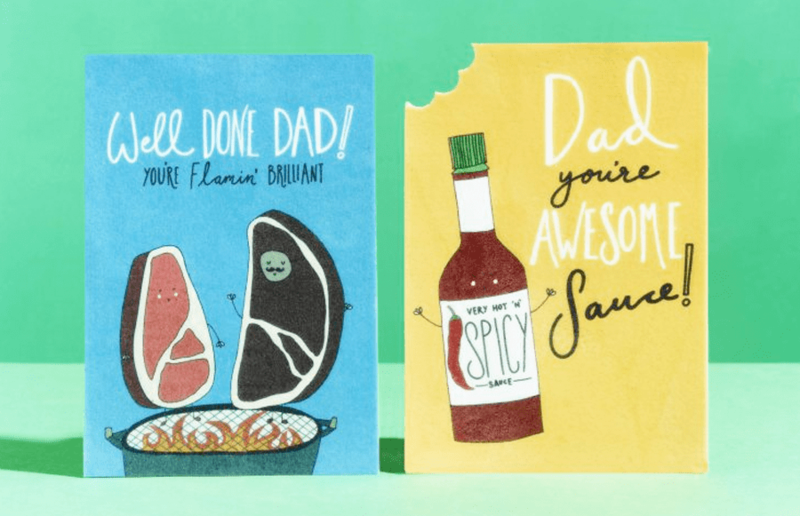 Moonpig has said that the cards are infused with edible scents and ink and promise that Dads won’t know the difference from the real thing! The creators of the cards even thought about the veggie Dads too as the cards are meat extract-free and are absolutely suitable for vegetarians. The cards are limited edition, so you’ll have to be quick to get one and they cannot be purchased in stores. So you’ll need to apply on Moonpig’s website to win one of them. Welcome the summer solstice in London's tallest building with raving, blessings and live music!